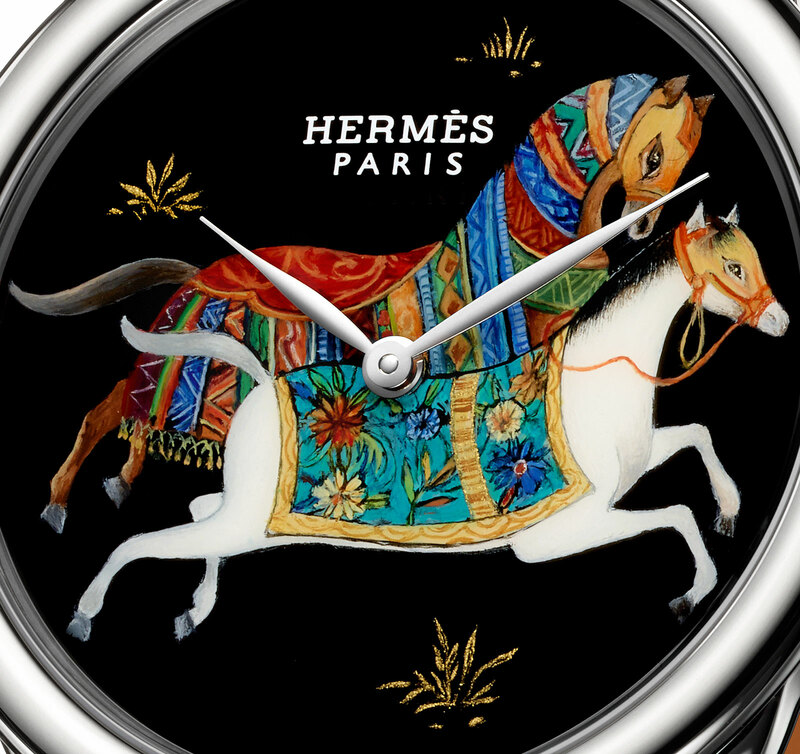 Hermes has applied the art of French lacquer to its timepieces with the Arceau Cheval d’Orient, depicting horses created with miniature painting and dozens of layers of natural lacquer. 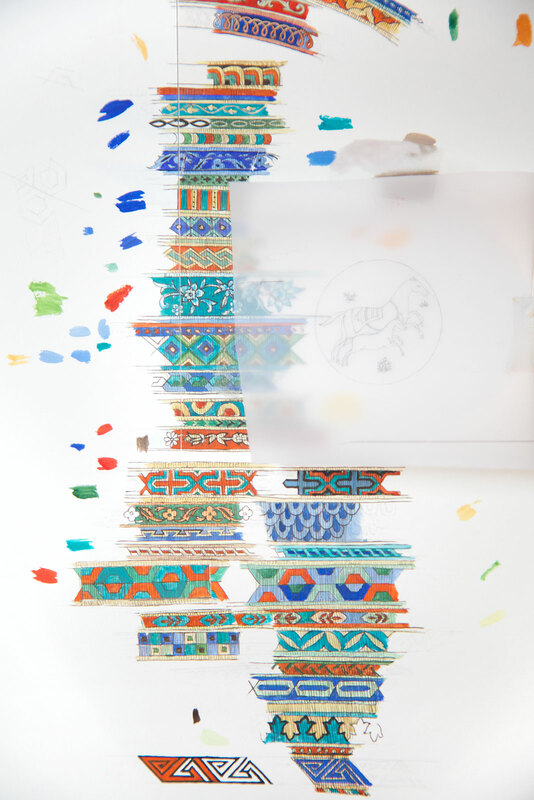 Inspired by the lacquer wares of China and Japan, French lacquer was developed in the nineteenth century to mimic the oriental art form. It uses the sap of the lacquer tree to create vivid and fade-resistant motifs, often on a black lacquer background. 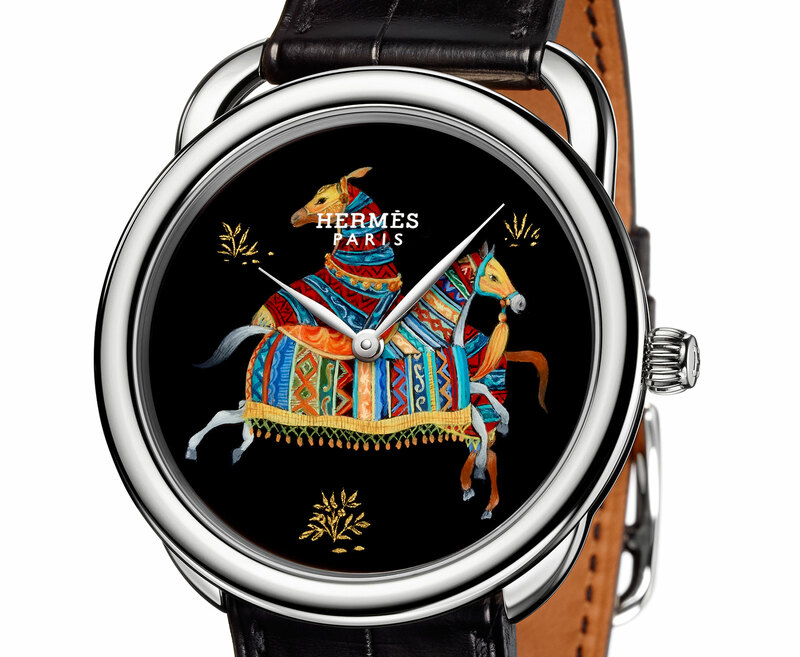 Hermes recruited lacquer artisan Nathalie Rolland-Huckel to decorate the dials of the Arceau Cheval d’Orient with horses draped in colour Persian saddle rugs. While lacquer is a technique often used by French luxury goods houses, most notably S.T. Dupont for its famous lighters, it is now used in wristwatches for the first time. 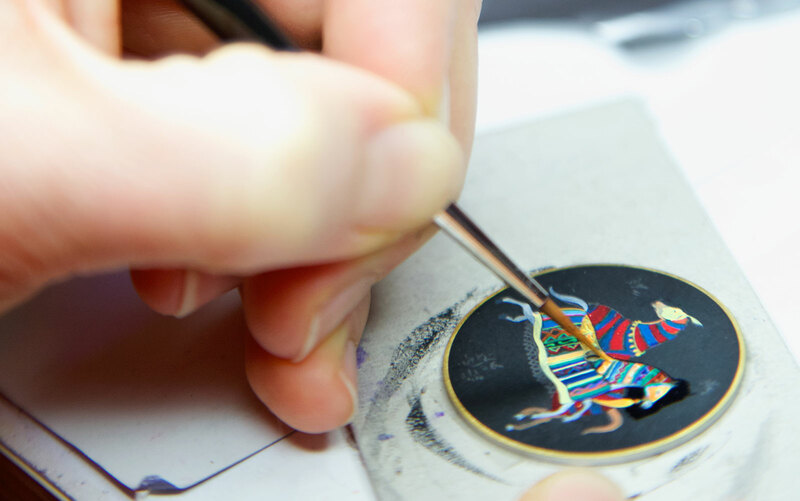 While French lacquer is typically applied on a wood base, the dial is made of brass, first coated with 30 layers of lacquer to create the deep, glossy black backdrop. 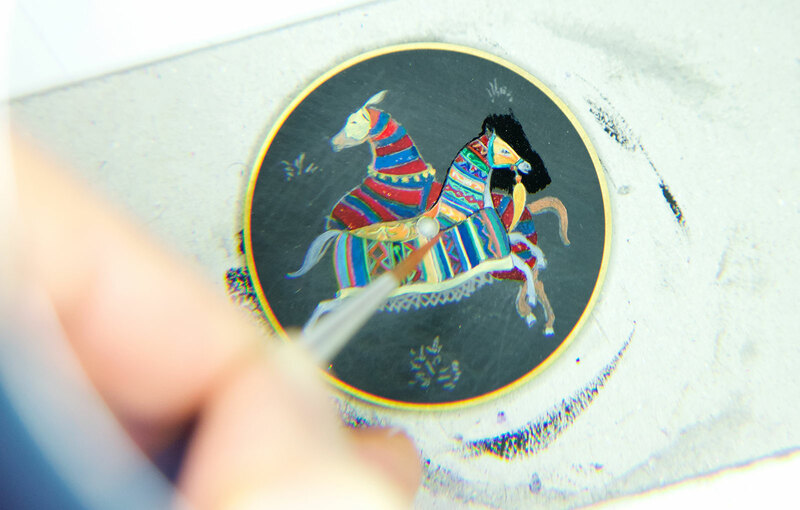 Then comes the miniature painting of the horse, done in multiple layers and requiring 10 days to dry. Finally 20 coats of transparent lacquer are painted over the motif, before being polished to its final glory. 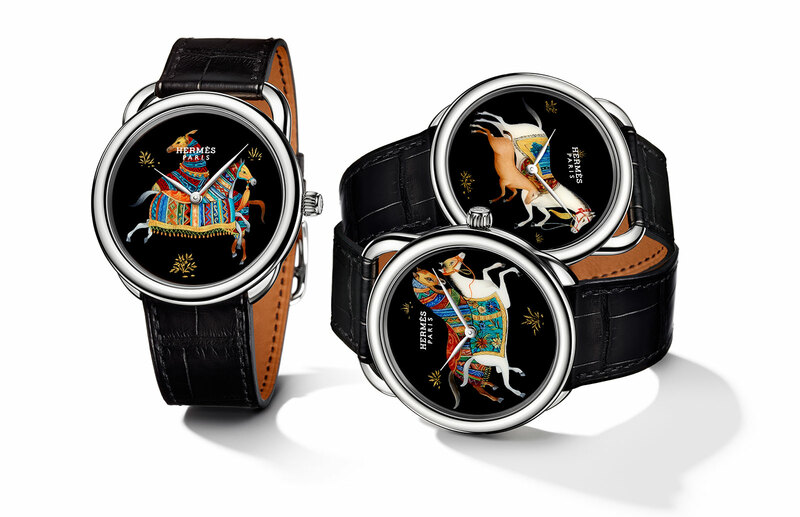 The Arceau Cheval d’Orient is available with three distinct horse motifs, each limited to 24 pieces. Alll have the same 41 mm Arceau case in white gold, equipped the H1837 automatic movement made by Manufacture Vaucher, a movement maker in which Hermes owns a quarter stake. The Arceau Cheval d’Orient is priced at 90,800 Singapore dollars, equivalent to US$72,600.